The wide-format range has a cooktop with six burners including a dual-ring power burner, high-efficiency burner with separately controlled flames. The oven with gas broiler has a balanced air-flow convection fan to provide even heat distribution for single and multi-level roasting and baking. 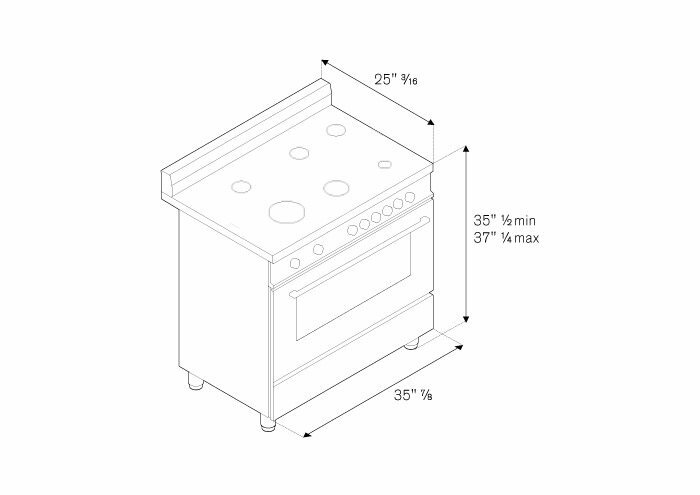 The oven includes telescopic glide shelves and soft-motion door hinges. Triple-glass door minimises heat loss. Matching range hood and backsplash available. Description: Save on qualifying Bertazzoni Ventilation and Dishwashers with purchase of qualifying Bertazzoni Kitchen Appliances. Rebate form must be postmarked by 1/31/2020. Description: Dealer Claim Form - Save on qualifying Bertazzoni Ventilation and Dishwashers with purchase of qualifying Bertazzoni Kitchen Appliances. Rebate form must be postmarked by 1/31/2020.